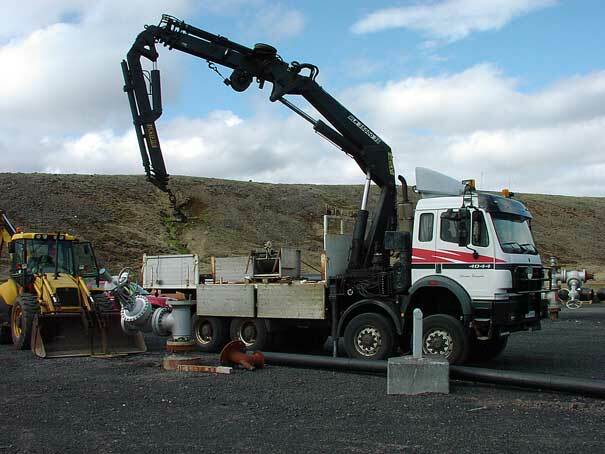 Testrunning a well logging equipment in a HiTemp well near Reykjavik. For the past years we have paid a considerable attention to well logging equipment. While logging equipment manufacturers around the world can offer a huge selection of equipment for surrounding temperatures up to 90°C, only a few can cope with temperature ranging from 90 to say 300°C. The picture above was taken last week when testrunning a certain logging device in one of the HiTemp well in Hellisheidi near Reykjavik.